In the last post, we set up the index view. Let’s set up a route that shows and saves a single car’s details. I’m combining the show and edit view here since they are largely redundant. Using the show view, we’ll need to have a save button that takes the model and calls the server to save the model. 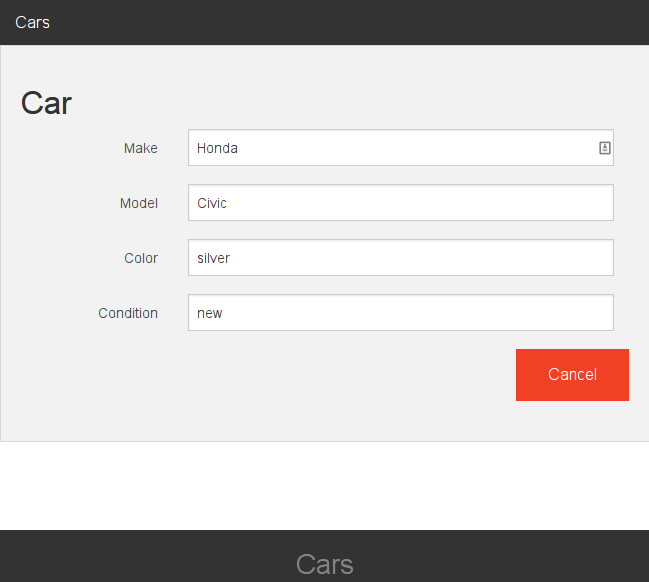 We’ll also add a cancel button that returns the user back to the index route. 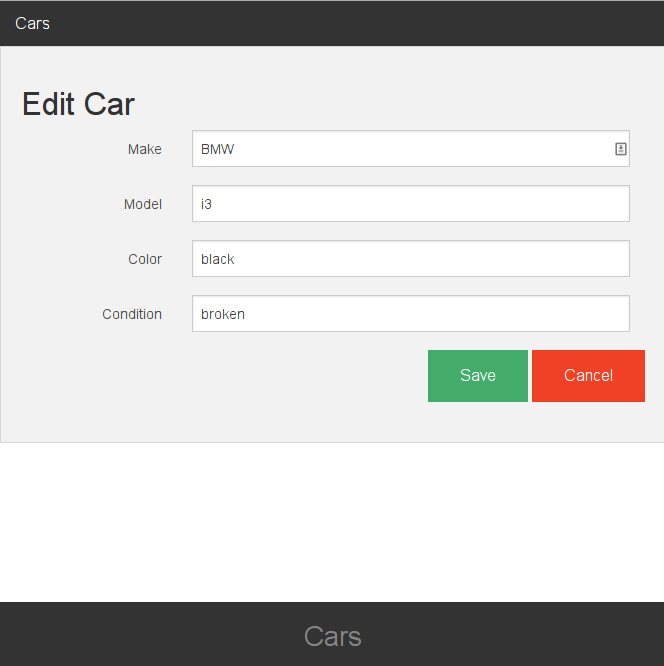 You should be able to get the car in JSON form at localhost:3000/cars/1.json now. Refresh the view, and it should be populated with some data. Now let’s add a save button. As far as I can tell, it’s idiomatic to put the save action on the route and not the controller like you might expect. So we’ll add a save action to the Cars show route. Now if you try to save you should get another 404 put error since we haven’t added the update part to Rails. Let’s do that now. Head back to the form and you should be able to save the update. Check the console for the log messages and check the index page to see if the save worked. Now that you’ve got the show view working and saving, head on to Part 4: Creating a New Car.